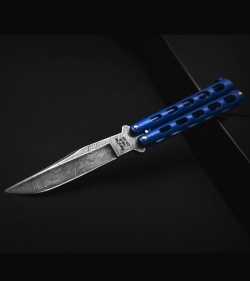 The Bear & Son 114BLD butterfly knife features a damascus steel clip point blade. 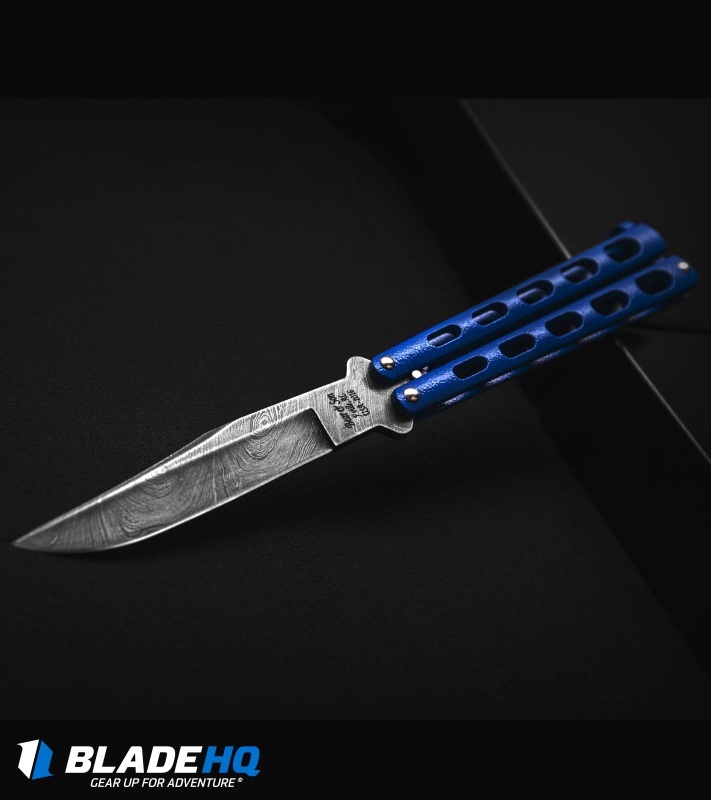 Its lightweight skeletonized zinc handles are built with reliable pin construction and a durable blue epoxy powder coat. 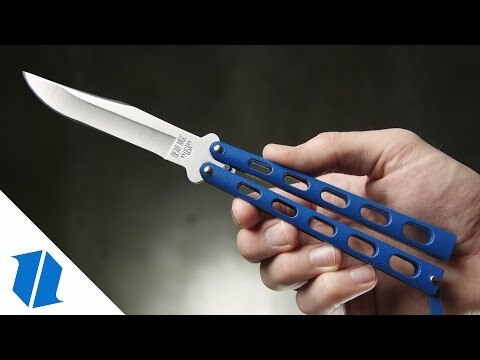 This knife is fun to flip, and is a great way to get your hands on a USA made balisong at an excellent price. I got this knife as my first non-trainer knife, and I’ve been flipping it every day for 3 months now. I usually don’t flip it over anything hard, but I have from time to time. I did end up losing the tip of the knife but I resharpened it to the best of my ability. Also the latch has gotten loose due to the tang pin digging into the side of the handle which causes the handles to touch, but a loose latch can be fixed with a few “O” rings. (You can look up how to do it on YouTube). Other than that I’ve had no real problems than that and I definitely recommend as a first knife. If you want to pay extra for it to look nice.